This USB-C™ to serial adapter lets you connect your USB-C devices to your legacy serial equipment. 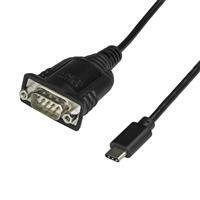 It converts a USB-C port on your laptop or computer into an RS232 DB9 serial port with COM port retention. This gives you a cost-saving and convenient way to connect to serial devices such as point-of-sale terminals, serial modems, industrial equipment, and a wide variety of other RS232 peripherals. 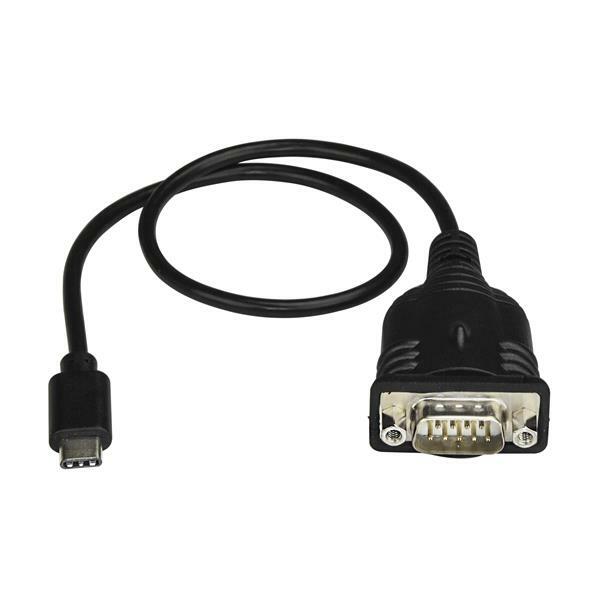 The RS232 adapter cable is compatible with Windows®, macOS and Linux® operating systems, which makes it easy to integrate into mixed environments. A time-saving and convenient USB/serial solution, the adapter retains assigned serial COM port values in nonvolatile memory, allowing the same values to automatically be re-assigned to the adapter serial port if disconnected and reconnected, or disconnected from one USB port and installed in another. The USB-C serial cable also supports advanced features like remote wake-up and power management control. The ICUSB232PROC is backed by a StarTech.com 2-year warranty and free lifetime technical support.